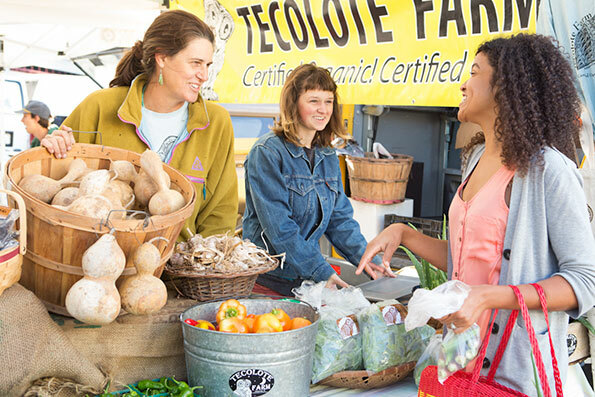 Provide double dollar benefits for fresh fruits and vegetables for over 1000 families in need at the SFC Farmers’ Markets through the Double Dollar Incentive Program. Provide education and cooking kits for over 20 6-week Cancer Survivor cooking classes. Provide food for after-school snacks and healthy cooking classes at over 20 Sprouting Healthy Kids partner schools. We're so grateful for the outpouring of support we have experienced this year. Our vision for an abundant, healthy, and just food system is within our reach. As the New Year begins, we pledge to continue our work to grow a strong, local food system that benefits us all. Thank you so much for your amazing partnership. P.S.Tell a friend about this campaign, and continue to help us bulid a food-secure community where all children and adults grow, share, and prepare healthy, local food.